That stretch of time from late spring into autumn is the best time to pack up the car and hit the road to explore the vast and beautiful place that is the good ol’ US of A. This year, skip the traditional asphalt crawl and turn your travels into ultimate craft beer road trips. 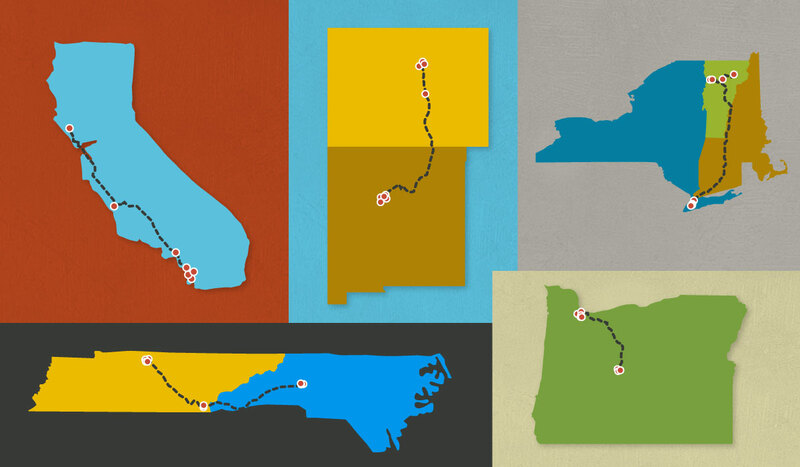 There are a ton of great places in America to find independent beer, so where do you start? 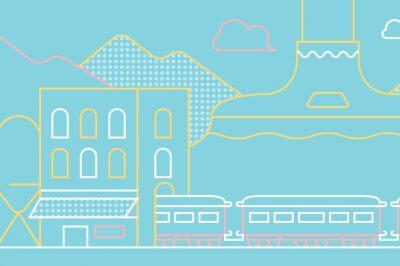 We mapped out five routes that connect some of the liveliest beer communities in the country. The trips aren’t meant to be done in a day. 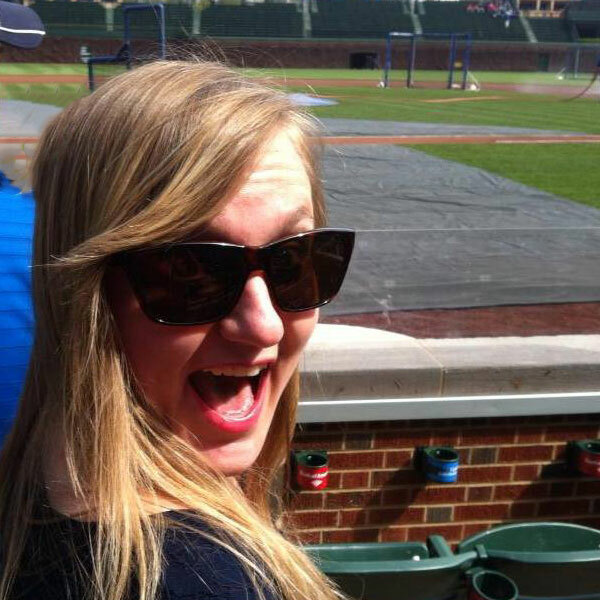 Instead, sit back and soak in the scenery that makes each of these beer road trips so memorable. Let’s break out the map, hit the road (responsibly, of course!) and fill this season with great independent beer. 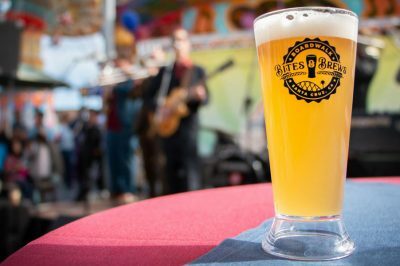 San Diego is the “Beer Capital of America” and with more than 100 breweries serving up world class beers in the area, it’s easy to see why this beer-soaked SoCal city is a must-visit for beer lovers. If you’re simply flying in and out of this craft beer destination, you’re doing it wrong. 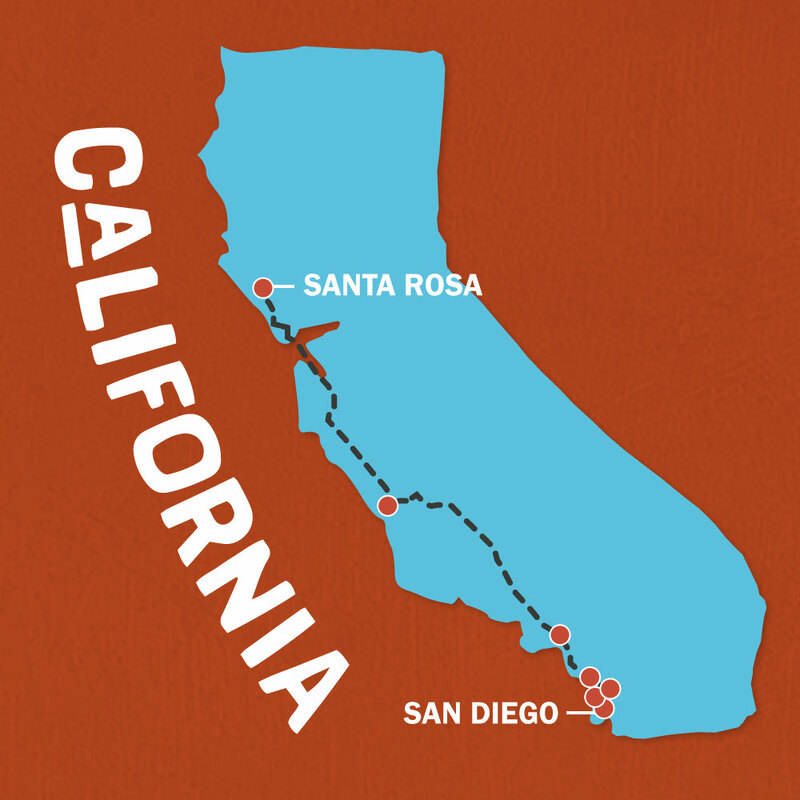 Instead, pack up the car and cruise the wildflower-lined Pacific Coast Highway up to the breweries tucked into the lush, green vineyards of wine country. Carve out at least a week for this one. There are so many exceptional breweries to visit and sunsets to see, you’ll want to take your time. There are so many along this route, it’d be hard to make stops at them all. But be sure not to miss out on a trip to Green Flash Brewing Co.’s lively tasting room in the Mira Mesa neighborhood. And kill two birds with one stone with a stop at the Port Brewing Co. & Lost Abbey Brewing Joint Tasting Room that features 40+ taps from both breweries. A stop at Stone Brewing Co.’s gorgeous Escondido headquarters and restaurant is a must, because — Stone — and bucket lists. And don’t forget about the up-and-coming breweries. Before leaving San Diego, be sure to visit Societe Brewing Company. This young brewery is refreshingly true to themselves, and they make some darn tasty barrel-aged beers. And make the most of limited time in the city by heading straight to Ocean Beach where you’ll find a mouth-watering Peanut Butter Milk Stout at Belching Beaver Brewery, three giant tasters for $3 at Culture Brewing Company’s tasting room, and a killer rooftop view of the Ocean Beach pier at the Ocean Beach Brewery. As you make your way north through Los Angeles, veer off the beaten path and head to The Bruery for all of the delicious barrel-aged brews. And a trip up the West Coast wouldn’t be complete without stops at Firestone Walker Brewing Co. and Russian River Brewing Co. Geek out at the mini empire Firestone Walker has created in Paso Robles and load up your car full of Pliny at Russian River. To safely explore San Diego’s craft beer scene, book a ride on the Brew Hop Tour — a five-hour custom guided Connoisseur Tour that make stops at three to four breweries, includes beer samples, brewery tours, and luxury transportation with a driver for $169 per person. There’s nothing quite like road tripping through the beautiful state of Oregon in summer. If you’re the outdoorsy type, this drive is for you. Start by spending some time exploring the well-established craft beer scene in Portland, then head south for a more relaxed pace and a tour of Deschutes’ original production facility in easy-going Bend. 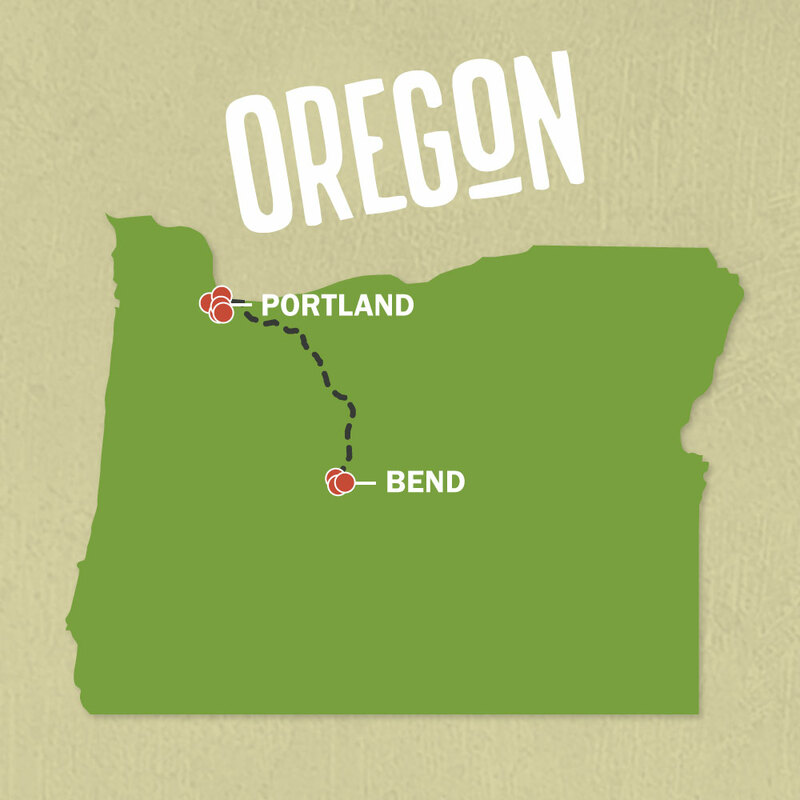 Start with a beer and a burger at Oregon’s oldest craft brewery, the Bridgeport Brewery and Brewpub. Thoughtful beer and food pairings and a top-notch happy hour is what you’ll find at Burnside Brewing Company. At The Commons Brewery, enjoy classic European styles and some of the best mac ’n cheese in town. For a truly unique Portland experience, pull up a stool at Old Town Pizza & Brewing, the city’s well-known haunted brewpub located just around the corner from the start of many of the city’s ghost tours. Taste your way through Breakside Brewery’s vast draft lineup that includes fresh pours of rotating offerings from the brewery’s 100+ unique recipes at their recently opened Portland location. When you arrive in Bend, make your first stop the Crux Fermentation Project. 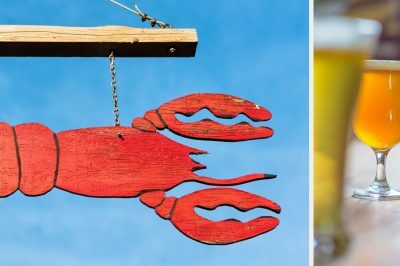 This family-friendly joint has an excellent outdoor patio with delicious food trucks, but people are flocking to this place for the clean, flavorful, interesting beers coming out of the brewery. A stop in Bend wouldn’t be complete without checking out Deschutes Brewery’s beautiful production facility. This beloved Oregon brewery also serves up free samples and a huge selection of bottles of specialty brews. If hopped-up big beers are your style, you’ll find them at Boneyard Brewing, a tiny hidden gem in downtown Bend. And don’t miss out on the chance to visit Worthy Brewing’s newly opened Hopservatory — the first observatory operating inside of a brewery. For a beer-themed place to rest your head in Bend, book a room at the Bunk + Brew Historic Lucas House, a unique lodging option within walking distance of the majority of the breweries in Bend. They even have a cold beer waiting for you when you check in. Whichever direction you set out from the capital city of Colorado, you’re likely to find patches of exceptional beer hubs. 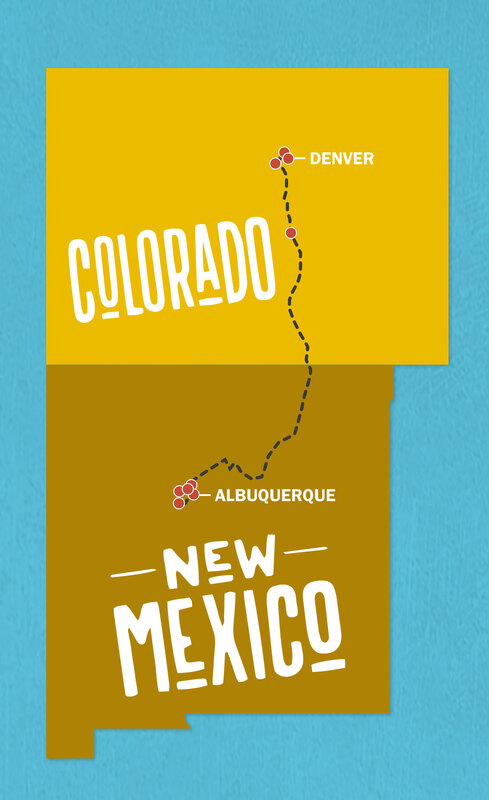 But we suggest you head southwest for a visit to the up-and-coming craft beer city of Albuquerque. Spend some time exploring Denver, one of the country’s most thriving independent beer cities, then hit the road for the New Mexico state line, saving time for a few mini craft beer adventures at small-but-mighty beer cities along the way. Great Divide Brewing Company recently opened The Great Divide Barrel Room in the heart of Denver’s growing RiNo district, and the shiny, new facility is filled with mouth-watering barrel-aged brews. Also in RiNO, you can embrace traditional German lagers at the Bierstadt Lagerhaus, and post up for a wood-fired pizza, live music and a refreshing Red IPA at Blackshirt Brewing Co. Fan of sours? Visit Crooked Stave Artisan Ales’ location at The Source. And for excellent views of Denver’s skyline from one of the most inviting outdoor patios in town, pull up a chair at Denver Beer Co. Break up your road trip with a visit to Bristol Brewing Company’s historic school house-turned-brewery in Colorado Springs. Directly en route to Albuquerque, the delicious Nut Brown Ale at Santa Fe Brewing Co. is worth a pit stop. For award-winning pub fare and handcrafted beers in Albuquerque, be sure to visit Boxing Bear Brewing Co.—the 2016 Great American Beer Festival Mid-Size Brewpub of the Year winner. Grab a handcrafted beer at Red Door Brewing Company’s lively downtown taproom. And don’t forget to schedule stops at ABQ’s popular longtime breweries, Marble Brewery, La Cumbre Brewing Co. and Nexus Brewery. Only an hour out from ABQ resides Santa Fe’s acclaimed contemporary art installation, Meow Wolf. There you will find works from 100 artists across several disciplines including painting, architecture, sculpture, video production, audio engineering, writing and more. Explore some of the most adventurous and fun-loving cities in the South with a road trip from the Nashville to the sudsy, laid-back Asheville, North Carolina. Make stops in the adventure hub of Chattanooga, and to the charming fields and tables of Blackberry Farm along the way. Nashville’s beer scene has grown leaps and bounds in the last decade, and is now home to a large selection of excellent breweries worthy of seeking out during your travels. For a delicious meal and a pint, head to Tennessee Brew Works, located just outside of Nashville’s vibrant downtown area. For a visit to one of the most happening taprooms in the city, make your way to Jackalope Brewing Company. Marvel at the amount of clean and flavorful brews made in Czann’s Brewing Company’s small brewery and cozy taproom. For an excellent brewery tour (with complimentary tasters!) and the scoop on Nashville’s craft beer history, head to Yazoo Brewing Co. While traversing the southern heat on your way to Asheville, be sure spend a day exploring Chattanooga. Stops at Big Frog Brewing Co., Big River Grille & Brewing Works and the Chattanooga Brewing Co. are a must. Once you arrive in Asheville, head to the Asheville Brewing Company where you can catch a movie and grab beer and pizza, too. Post up on the outdoor patio at Burial Beer Company for refreshing Honey Saison. Try a Gaelic Ale, a Daycation IPA or a Black Mocha Stout at Highland Brewing Co., and don’t miss out on the funky goodness at longtime Asheville watering hole — Green Man Brewery (Green Man’s new building is stunningly gorgeous, with a great view – particularly in the fall.) And if you’re looking for more great views, make the 15 minutes drive from downtown to Pisgah Brewing, a brewery that doubles as a music venue, attracting up-and-coming acts and big names alike. Perfectly positioned along your route is Blackberry Farms in Walland, Tennessee. Book a night in one of the farm’s charming cottages and finally taste what all of the buzz is about at this boutique brewery. There isn’t a better place for a fall road trip than the Northeast. The changing of the colors of the leaves paired with all things maple, and some of the most respected breweries in the country — it’s truly the place to be. 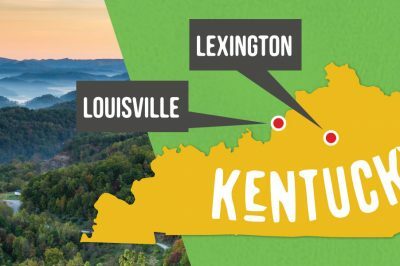 Start your journey in the city and make your way through the peaceful countrysides for visits to breweries making some of the top-rated beers in the nation. To truly begin an epic road trip in NYC, head to Brooklyn Brewery. This legendary brewery offers Small Batch Tours for an all-access guided tasting of four Brooklyn Brewery beers. Be sure to familiarize yourself with the brewery’s “Before You Visit” instructions to stay-up-to-date on the tasting room’s limited hours throughout the week, and guidelines for touring this popular NYC craft brewery. Continue exploring Brooklyn with a stop at the Keg & Lantern Brewing Co. where you’ll find a long list of a variety of ales and lagers on draft, and a visit to Other Half Brewing Company—a hop-forward brewery revered for creative and exciting beers and brewery collaborations. Pull up one of the many bar stools at Threes Brewing for a classic German lager or a traditional Belgian farmhouse ale before traveling back over the bridge to the Chelsea Craft Brewing Company—the oldest brewery in Manhattan. As you make your way out of the city to the beautiful state of Vermont, you’d be doing yourself a disservice if you didn’t plan a visit to The Alchemist — one of the biggest cult breweries in the country. Pick up cans of Heady Topper IPA and taste for yourself why this beer is always at the top of best beers lists. Tradition and a focus on local ingredients is what you’ll find at the Burlington Beer Company. Enjoy a Q-shaped pretzel, cool atmosphere, and tasty beers and Queen City Brewery, and sunshine and unfiltered ales and lagers on the patio at The Tap Room at Switchback Brewing Company. And don’t miss out on a trip to Hill Farmstead Brewery, one of the most buzzed about breweries in the country. This community-driven place is offering up weekly specialty bottle releases that you’ll definitely want to plan your visit around. The state of New York’s brewery count has exploded over recent years. 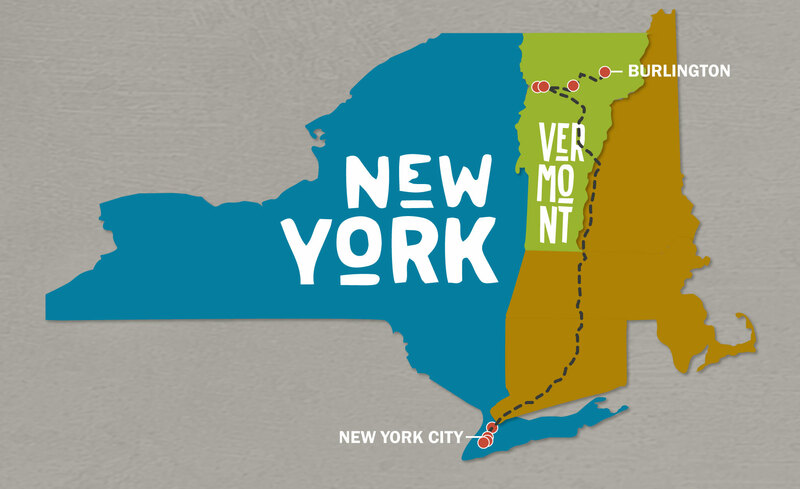 One way to discover some real gems of the Empire State on your road trip is to lean heavily the brewers guild’s state beer trail.